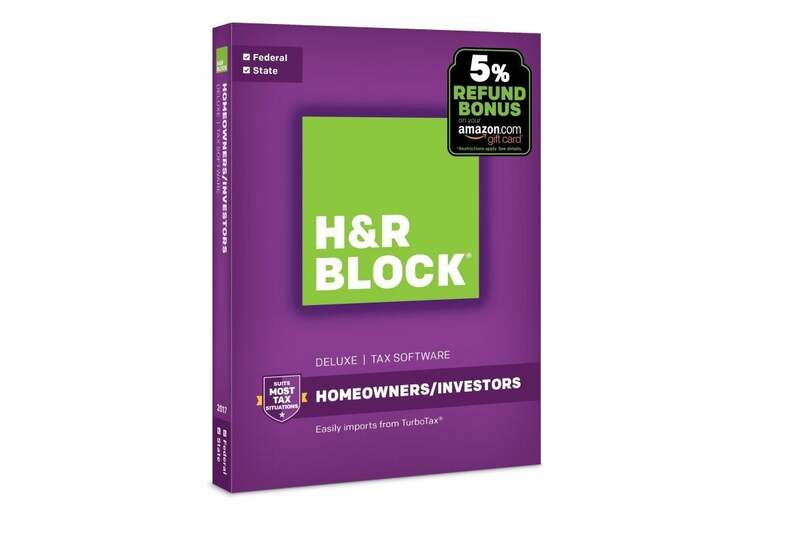 You can get H&R Block’s Deluxe + State Tax software for 60 percent off at Amazon today. April is upon us, and you know what that means—tax season. Preparing your taxes can be tedious, frustrating, and time-consuming, so if you’re going to be preparing them yourself, it’s important to make sure you’re using the right software to make it easier. Today, you can get H&R Block’s Deluxe + State Tax Software for just $17.99, which is 60 percent off its list price on Amazon. If you put your refund on an Amazon gift card, you’ll also get a 5 percent bonus payment. This tax software will guide you step-by-step through the filing process, with “unlimited expert advice” along the way. If you do end up getting audited, you’ll be able to meet in-person with H&R Block experts at one of their many locations for guidance. While we haven’t reviewed the standalone software, we found H&R Block’s interface user-friendly and convenient in our roundup of the best online tax programs. But before you buy, don’t forget that most online tax programs let you file federal taxes for free if you’re using a basic 1040EZ form.